Experience the wonderful charm and historic tradition of Todos Santos with modern comforts and amenities! 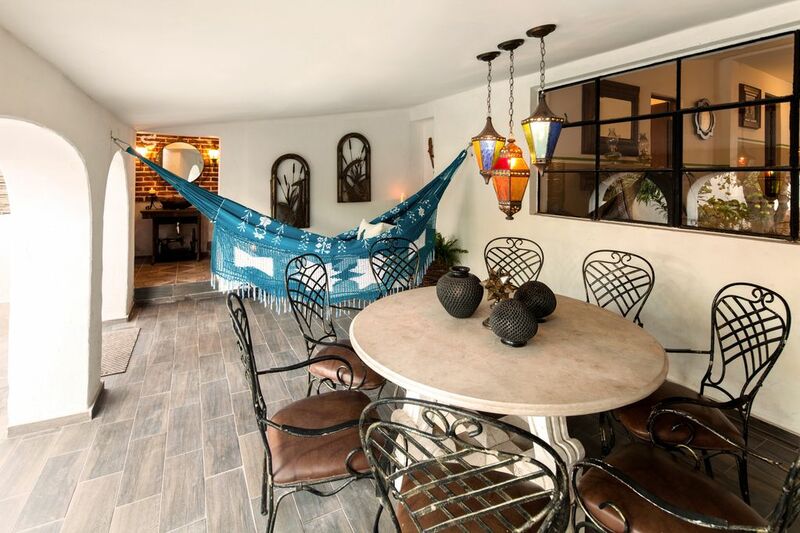 Located on the main street in the heart of downtown, Casa Pueblo was built in the 1920’s and recently renovated in 2015, and features Mexican hacienda style decoration; 3 bedrooms/2 Full bathrooms, kitchen with appliances, living room, dining room, outside terrace, patiowith independent Studio, 1 Bedroom / 1 Full Bathroom, internet access. This place is perfect for two people! We loved the beautiful patio and the apartment was spotless! If you don’t want to rent a car, you can walk everywhere (even to the beach!). Todos Santos is a charming town—noisy and bustling during the day, sleepy and quiet at night. Loved it and will definitely be back to stay here again!